I was so excited to get this fix in the mail! As soon as the email alerted me, I was stalking the site to get a sneak peek at what was coming! If you haven't tried Stitch Fix yet here is the deal - it is a mail order clothing/stylist program. And, it is pretty much amazing for anyone who is a) busy or b) not a fan of shopping. Pretty much for someone like me, it rocks. 1. You go online and set up a style profile. This is pretty fun to do helps the stylists get an idea about things you like, the clothing you need for work and your sizing. They don't charge to set up the profile. 2. As often as you request (or you can set it up monthly or every other month) you request a "fix" or clothing shipment. 3. They send you five items that the stylist thinks you will like with styling suggestions. These are not Box Store clothes, these are boutique quality items. And they give you great suggestions on how to wear them. 4. 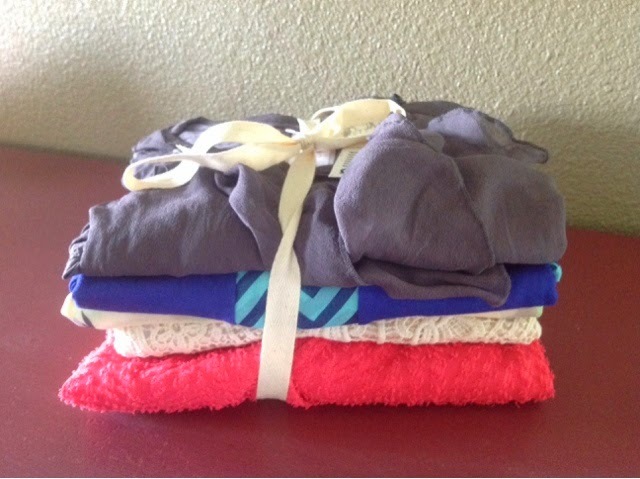 Your clothes arrive at your door step beautifully packaged and ready to try on in your home. 5. You get 3 days to decide what you want to keep and send the other items back in the postage paid bag. 6. Tell them what you liked and didn't and why and your future fixes will get even better. You also get a 25% discount if you keep all 5 items. You pay for what you keep and only a $20 styling fee if you don't keep anything. Shipping is included in that fee. 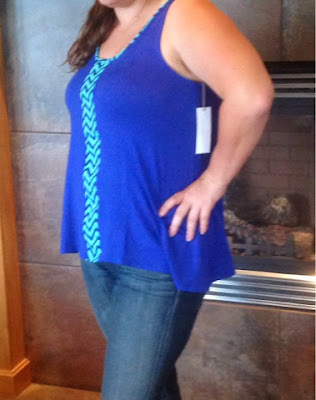 Check it out at https://www.stitchfix.com/referral/3314914. Note: I'm not paid by Stitch Fix (I wish) for this post but I do get referral benefits if you decide to check it out and use my link. So check it out! I didn't get a photo of the style cards but the stylist includes a card of suggested ways to style each item you get. There are two suggestions for each item. These are really helpful and give me ideas that I sure would not have thought of on my own. This tank is not my normal style but I had wanted to get some Chevron. I'm late joining that train but still. The material is super soft. Crazy comfortable. I do not wear much blue but I think it would be really cute white white pants or shorts. This I had pinned! I was super excited to get it but once I tried it on it was a bit on the small side. It just was not very flattering from the rear view. I would have loved it if it was a bright color and a bit bigger. The fabric layering also looks a little odd around the arms. I had also pinned this dress and was so excited to see it. But, so sadly it is too small. It doesn't look like it would be and oddly the top part was big enough but not the middle which was a bummer. I didn't love the feel of the fabric either. It ha a lot of texture to the fabric which I wasn't a huge fan of. Bummer. But I love this color! I wasn't sure I would like this one, but it might be my favorite. It came with a white cami. I might do a colored cami too. 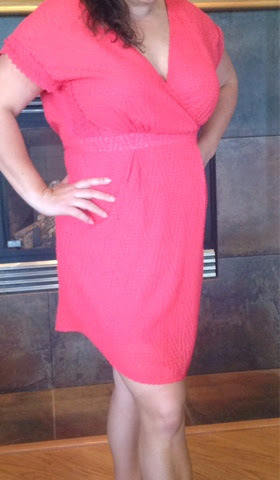 But I should mention that the cami (which was included with the top) was the nicest one I've ever put on. If stitch fix sells these camis, I want more. I have nothing crochet in my closet so this is a fun new item for me. I didn't love this dress until I realized there was a belt and I really like it with the belt. It is very comfy and stretchy. The pattern is floral but a bit neon in the flower colors which makes it more interesting than it appears in this photo. I may even wear it for Easter -so act surprised if you see me wearing it :). I was hoping this would be the fix where I kept all five items - you get a 25% discount if you keep everything - but the dress that didn't fit put a wrench in that plan. If it had fit I would have kept everything. It actually would have been cheaper to keep 5 items instead of 4. But why keep something that doesn't fit? So I went back and looked at the pictures to decide the keeps and the culls. So...what do you think I should keep? My stylist was Jenni B this time and she did a great job. I did some extra pinning to my style board this go round which I think helped too. I'll again leave very specific feedback about the things I do and don't like about each item. I think these fixes will get better and better! I'm very happy with the prices of this fix! I really stressed in my last reviews that I am not someone who splurges often. While these are not target cheap, they are very reasonable for the quality and a really good value considering someone shops for you and it is shipped to your door! I'm already planning to schedule my next fix! 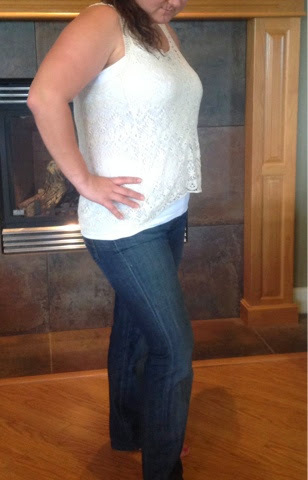 I think I'm ready for jeans - I've heard really great reviews of their jeans! 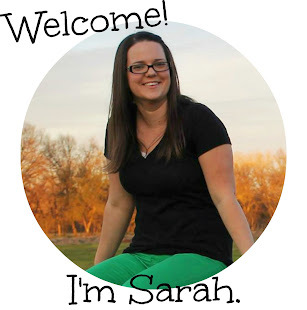 So follow the link, try it out and tell me what I should keep! 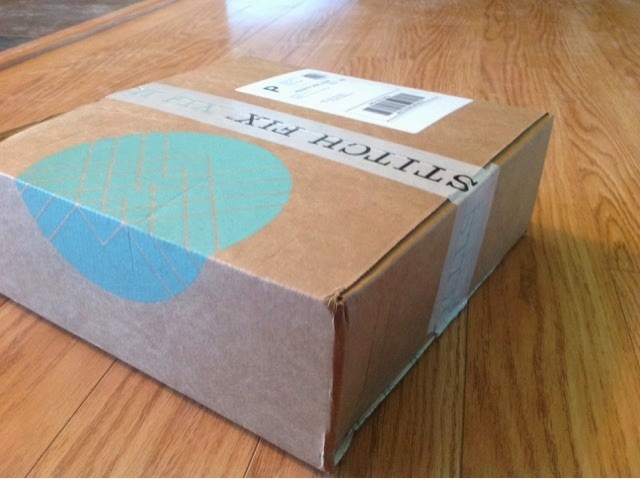 Note to Stitch Fix - you should consider a quarterly shipment schedule! A monthly shipment is probably too often for me, but quarterly would be perfect! Thanks for sharing! Your writing is always so fun to read. I do Stitch Fix also. I love that you posted pictures. The crochet tank and the floral dress are my favorites. I have a question. What is this "pin" of which you spoke? Is it on Pinterest? I am still trying to figure it out. 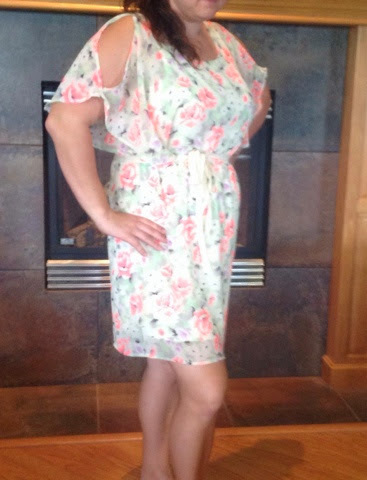 I have limited my deliveries to tops as I do not wear dresses and I don't veer from my Wranglers very often, so I would like them to see my "style." This is definitely getting me out of my comfort zone with nice quality clothing. You need a Pinterest board! 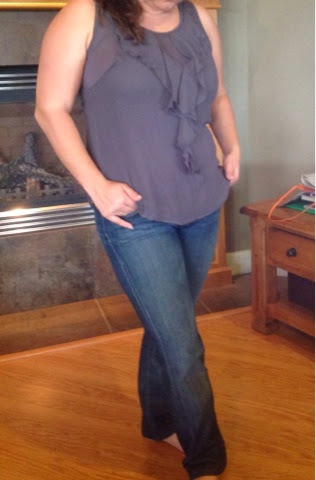 I even search for stitch fix items on pinterest and pin them to my style board. Then my stylist gets the link to see what sorts if things I'm eyeing. Pinterest is kind of addicting! I like the two that you picked as your favorites, but I really like the ruffle sleeveless too - it's too bad it doesn't look good from the back, I think it looks great from the front!